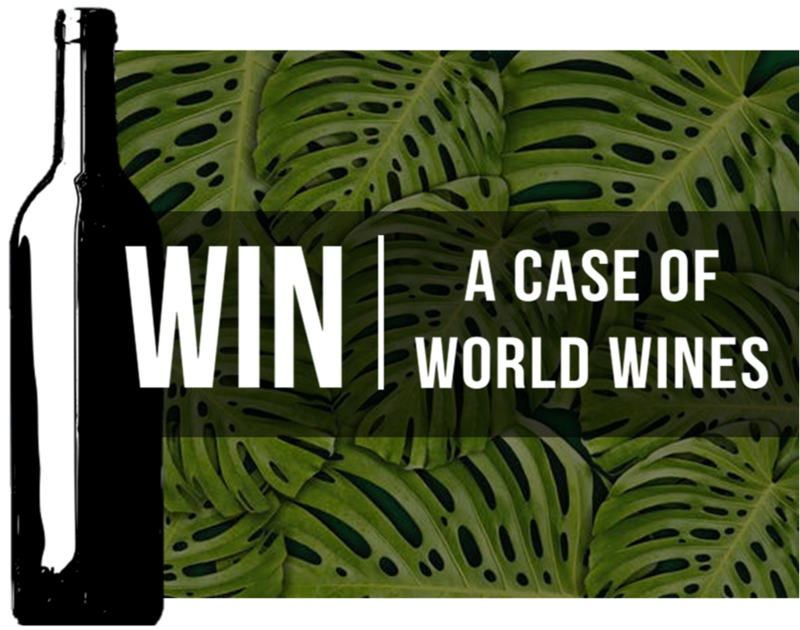 Share a picture of any Reciprocal wine on your festive table, or in an exotic location, on the beach, on a boat, at a picnic… and you could win a 6-bottle case of international wines from our portfolio including a bottle of Champagne! Don’t forget to follow or like, and tag us on our social media pages. You must be 18 years or older to enter. Competition open to South African residents only. This competition will close at 12pm on Sunday 6 January 2019. The winner will be drawn at random from combined entries on Facebook, Instagram and Twitter. Prize cannot be exchanged for cash. 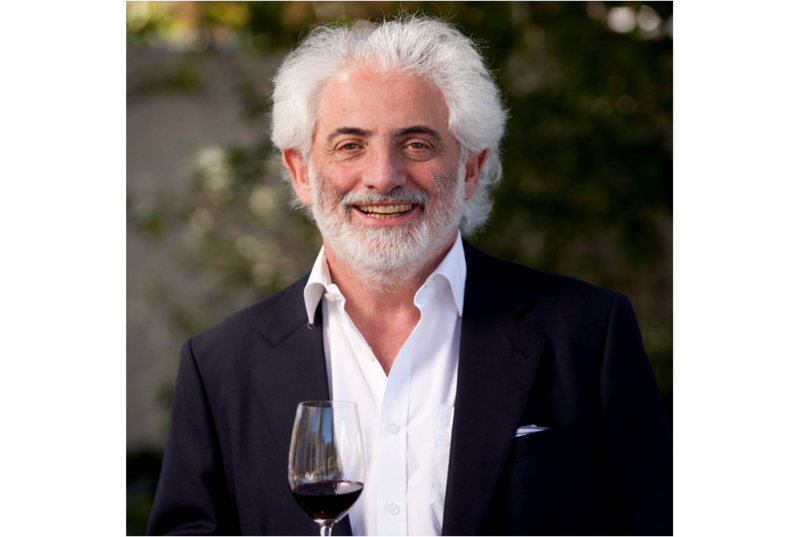 The Michael Fridjhon Wine Judging Academy – in association with the University of Cape Town graduate School of Business, begun in 2007. Michael is SA’s leading wine critic and his three-day course exposes candidates to a range of top local and international wines and intends to refine ideas about wine quality – it seeks to ensure that a steady stream of competent wine judges enter the industry. The academy will once again take place at the Cullinan Hotel in Cape Town, from 2-4 April 2019. The cost for the course is R 9 495.00 per person and includes accommodation, meals and course materials. Applications close on 14 December 2018. Download the application form here: 2019 Michael Fridjhon Wine Judging Academy application form. For more info, contact Michael Crossley on crossley@reciprocal.co.za. 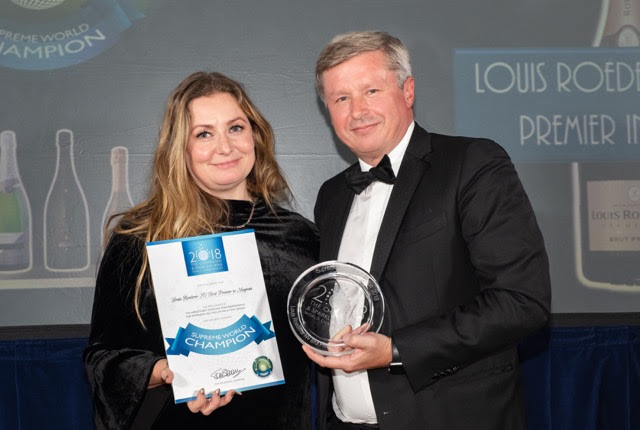 25th October, London – Last night Tom Stevenson and Essi Avellan MW hosted the 2018 Champagne and Sparkling Wine World Championships recognising excellence across the world of sparkling wine. The room was filled with the most prestigious names in sparkling wine as they gathered to pay tribute to the talent and excellence that is recognised with these awards. Jean-Baptiste Lécaillon, Chef de Cave of Champagne Louis Roederer was there to accept an incredible 9 trophies including Sparkling Wine Producer of the Year and Supreme World Champion for the Louis Roederer Brut Premier NV in magnum and a trophy for Roederer Estate in the US. With his signature humility he accepted the awards on behalf of Champagne Louis Roederer saying “it is a recognition of our unique terroirs and the terrific craftsmanship of all our vignerons and cavistes! As Chef de Caves I take it as a standing ovation to my Team Roederer”. The back labels of wine sold in South Africa come with mandatory health warnings. The slogan which seems to have been the choice of most producers and importers is “Alcohol is addictive.” No doubt this is true for people prone to addictive behaviour (though the same might then be said for chocolate, cayenne pepper and anti-social conduct). If you are unlikely to succumb to addiction – in the precise and medical sense of the word – you are still susceptible to the seductive properties of people, products and objects which contribute to your quality of life. You want to spend time with people you love, surrounded by the works of art you most enjoy and, if you love great beverages, you might choose to do this sipping Champagne or simply inhaling the aromas of great Burgundy. I was lucky enough to have been introduced to fine wine at an early age. My parents had a good, though modest, cellar, and many of their friends served wines which today would be impossible for all but the wealthiest collectors to offer to their guests. I remember magnums of 1949 Clos des Lambrays on the table for mid-week dinners (They only cost R10-40 each in the early 1970s, making them slightly more than twice the price of Nederburg Selected Cabernet.) The most expensive wine on the Civil Service Wine Store price list in those days was Romanée-Conti (as it would be anywhere today). The 1966 vintage – then eight years old – cost R18-50 and the older (and better) 1964 slightly more. In short, it was easy to get addicted to great Burgundy, and as a student whose standard tariff for extra maths lessons to matriculants was R7-00 per hour, it was easy arithmetic for me to convert teaching time into great wine at a very acceptable exchange rate. However, the moment when I knew that Burgundy had passed from the realms of flirtation to serious and passionate obsession was at dinner one September evening in 1972 when I had my first bottle of DRC Richebourg. Hugh Johnson’s first book – simply entitled “Wine” – had said that it would deliver aromas of allspice, cinnamon and cloves – which to my youthful mind seemed an improbable promise. How wrong I was – as the wine took more air, the aromatics transformed into the most haunting fragrance, spice, fruit and vinosity, woven into an elusive but utterly seductive bouquet. Like Dante’s momentary glimpse of Beatrice on the Pointe Vecchio, everything changed for me in that encounter. Burgundy still remains the primary object of this affection, though she allows me the promiscuity of all great wines, whatever their origin or variety. It does not matter how frequently you visit the harsh and exacting landscape of the Douro, nor what time of the year you are there: it is stark and haunting. Perhaps because you know something of what to expect you believe you will be inured to it. So when you come across a place where the brutal stone and bleak vegetation is softened by a gentleness of spirit which imbues the terrain and the structures perched precariously upon it, all world-weariness is washed away. You see it and you are taken by it. This was my experience of the Quinta do Bom Retiro, high on the slopes above the Douro River in north-eastern Portugal. It’s not just the lagars, where the grapes are still foot-trodden by teams that work from eight in the morning until eleven at night, so that the best fruit is crushed so gently that none of the bitterness lurking in the pips ever contaminates the must; nor is it the ancient dry stone terraces clambering up the sheer sides of the mountain rising hundreds of metres above the river; it’s not to be explained by the old homestead which has survived, largely unrenovated, since it was built by the Ramos Pinto family as a place of “good retreat,” nor by the wizened vines clinging onto the crumbling slopes through the “nine months of winter and the three months of hell” – which is how the locals describe the climate. It is in the resilience of the human spirit, which carved this place of extraordinary beauty from the most unlikely of raw materials, and has continued to make wines of such timeless splendour that it comes as no surprise to find blends whose component parts span three centuries, assembled by winemakers whose great-grandparents worked in the same cellars, seeking the satisfaction, the joy and the redemption which lies in the pursuit of perfection. There are really only two kinds of Port wine: those which are made for bottle ageing (and therefore require a deferral of gratification) and those which are released more or less ready to drink, the young rubies, the late-bottled vintages and the aged tawnies. The declared vintages as well as the single estate vintages go from cask to bottle by the second spring after the harvest. All the other wines mature in cask until they are representative of the style described on the label. Bridging the two distinct styles are the late-bottled single vintages, released after an extended period in cask and therefore ready to drink, but still with enough intensity in reserve to gain in mellowness from time in the bottle. 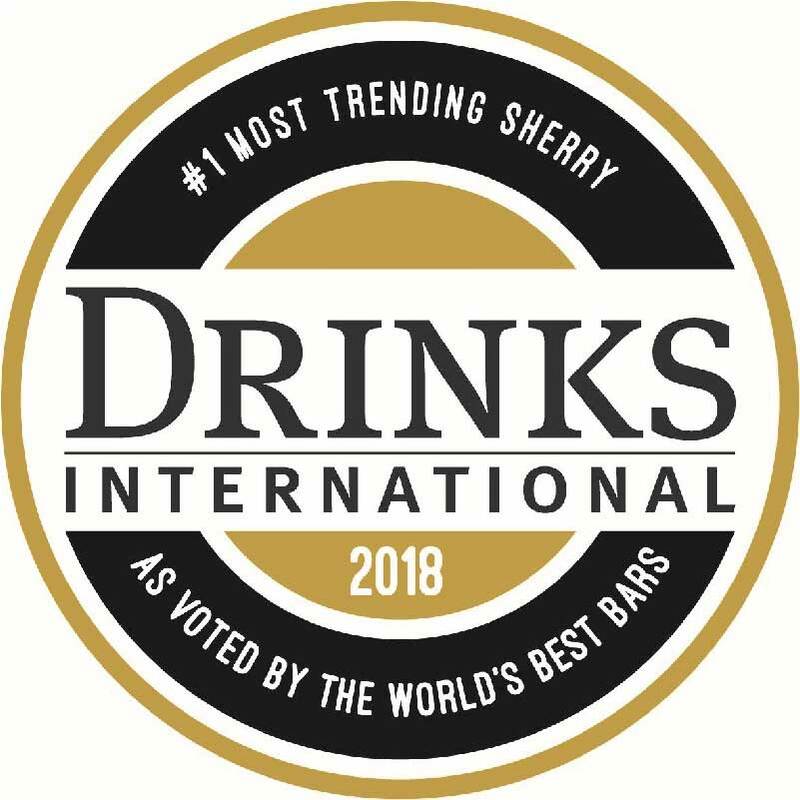 Ramos Pinto is quite unlike the ever-diminishing number of British-owned Port houses (all but three of which are now controlled by multinationals). It was founded in 1880 by Adriano Ramos Pinto who began the business as a negociant before acquiring his own estate. All of the wines are still finished, blended and matured in Vila Nova de Gaia, the town opposite Oporto where the north facing slopes have provided almost all of the shippers with the cool and humid cellars essential for the ageing of fine Ports. Although the business is still run and the wine is still made by the founders’ descendants, control of the company passed in 1990 to the Rouzaud family of Champagne Louis Roederer. Ramos Pinto focuses much of its efforts on its aged tawnies and its offering of 10, 20 and 30-year old tawnies has come to be regarded as one of the treasures of the Port wine trade. All are ready to drink, with the Ten-Year-Old the most vibrant, the Twenty-Year-Old the most harmonious and the Thirty-Year-Old the most silken and lace-like. All share in common an endless longevity, even when open, for unlike the vintage-style Ports (which must be consumed within a day of opening) the Tawnies have reached a state of perfect stability in the cask. For those who seek the richness and youthful intensity of a single vintage Port, the Late Bottled Vintage wines – available across a number of vintages – would be your best bet. This has been a difficult year – and not just for Robert Mugabe. The year is hurtling towards its end, time is more at a premium than ever before, and now my colleagues have asked me to put together my list of year-end favourites. So many wines, so little time. In the past few years I’ve adjusted the average age of the wines in my cellar by either buying older or younger parcels, and I’ve filled obvious gaps – simply by looking through the price list and allowing myself to approach my year-end shopping like a kid in a candy store. For 2017 I’m pretending to a more mature approach, a combination of what I think I will miss desperately if it sells out, together with a more long-term view on great wines at prices we may never see again. Châteauneuf-du-Pape is one of the most frequently consumed reds in my home, so I always need to replenish stocks. Given that the best examples are high in grenache – which matures quite quickly – it’s not essential to lay down wines for a protracted length of time. The Guigals (2010 and 2011) are drinking well already, so is the Perrin “Les Sinards” 2011, while the latest release from Domaine André Mathieu – the 2014 Centenaire (from century old vines) – only needs a few years before it will be quite splendid. With Bordeaux I’m focusing on the 2010s – which are looking increasingly accessible and are extraordinary bargains compared with the prices at which the 2015s are likely to land: Charmes de Kirwan, Cos Labory, Haut-Batailley, Meyney, Reserve de la Comtesse and Langoa-Barton are all irresistible. So, by the way, are the Schlumberger Alsace Riesling Grands Crus which landed recently at never-to-be-repeated prices. Finally, I’m allowing myself two little indulgences: the Nipozzano Old Vine (Vecchie Viti) Chianti from Frescobaldi which will require a little patience before it reveals its full potential and some amazing sherries: the Tío Pepe Fino – and some half bottles of the 30-year-old masterpieces: Del Duque, Apostoles and Matusalem. My approach to festive season shopping is somewhat different to Michael’s (which can be seen here). With a house full of guests, my focus is on not raiding the cellar, but rather seeking out delicious wines that can be consumed now. I will certainly be indulging in the odd London No.1 Gin – occasionally doctored with Dolin Vermouth for the perfect Martini (a sure way to mute the noise of children around the swimming pool), and of course a holiday wouldn’t be complete without a few bottles of Champagne Louis Roederer Brut Premier. Our holiday includes a lot of time relaxing in the sun but sadly no beach, the Domaines Ott Blanc de Blancs with its almost saline quality is a sure way to get into the holiday spirit. The Trinity Hill Sauvignon Blanc is a fabulous summer lunch wine and the Duas Quintas Branco a little more substantial but one of my true finds of 2017. I’ll also be packing a lot of La Vieille Ferme Rosé for the afternoons that gather a momentum of their own. Finally, a bottle of Château du Tariquet Bas Armagnac XO – for selfish indulgence when required! Christmas lunch will be a modern take on tradition (and I’m not talking about the fact that the men will be doing all the cooking in the kitchen). Canapés of Foie Gras served with Champagne Jacquinot Brut NV, followed by a Cos lettuce, smoked salmon and avocado terrine served with By.Ott Rosé, turkey on the Weber, complete with duck fat roast potatoes, served with Domaine Ogier Syrah “La Rosine” and the 10-year-old Ramos Pinto Quinta Ervamoira Tawny port to wash down the mince pies. 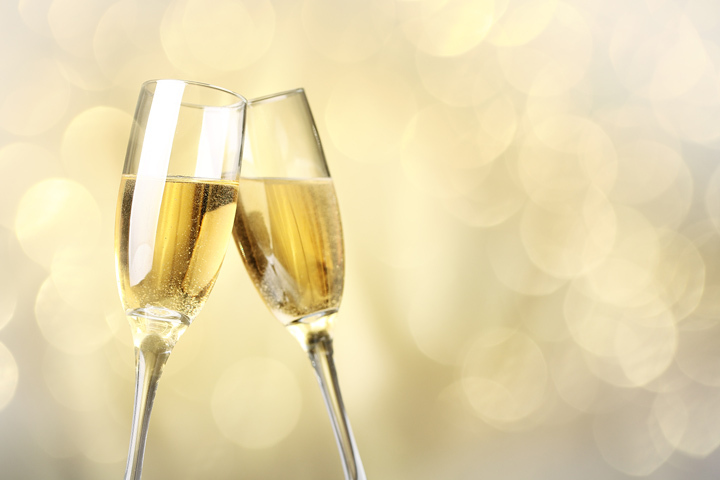 It may come as a surprise to fizzophiles, but there are actually people who don’t “get” Champagne. They see it as harsh, acidic, austere, the kind of reach-for-a-Rennies beverage which gives wine a bad name. For them there is some easy to apply advice “Get your doctor to put you on Nexiam and get over your anxiety about heartburn.” Once you recognise that life without Champagne would be immensely poorer (even poorer than you would be from a lifetime of Champagne indulgence) it’s safe to say that you will discover that Champagne is the best and longest downhill roller-coaster ride you can buy, and worth every skid and corner on the way. Firstly, it is a remarkable wine: made in huge, seemingly industrial cellars or in tiny producer caves, it can be frivolous and simple in its youth, complex and intense with bottle age, nutty and haunting at the peak of greatness. While most branded Champagnes are made with fruit sourced from a great number of growers, two of the great houses – Louis Roederer and Bollinger – exercise considerable control over their fruit sources. Roederer owns the vast majority of the vineyards from which its wines are made (the top cuvees like Cristal are 100% estate grapes) and manages the farming where it does buy from growers, so that now even the Brut Premier has a high percentage of bio-dynamically grown grapes. Secondly, while the Champagne method as well as the geographical origin are the legal definition of the beverage, there are hundreds of different approaches to assembling the final wine. Bollinger stores still wine in magnums (thousands of them) and adds some of this back every year when the base wine is assembled. Benoit Lahaye makes his Rose from the maceration of the fruit; Jean-Manuel Jacquinot’s Rose Champagne is a blanc des noirs. Krug, Roederer, Bollinger and Gosset have always included an oaked component in their base wine, while other houses prefer the neutrality of stainless steel. Thirdly, while the vast proportion of all champagnes are consumed within a 12 month period of their sale into the trade, almost all improve with bottle age – and some, like Cristal, for example – need at least ten years to reveal anything like their full complexity. Great Champagnes are great wines – they evolve with age, acquiring nuance and detail with the elapse of time. We don’t often get a chance to sample this age-worthiness because they’re so enjoyable consumed young – but if you are lucky enough to drink a fabulous bottle thirty to fifty years old (or one of the rare discoveries buried somewhere in a cellar for over a century), there are few wines more likely to change your world view. So, if you served a fine bottle of Rose champagne to your wife/girlfriend/boyfriend/mistress/member-of-parliament on Valentine’s Day, that’s fine – but lay down a few bottles of the best fizz for a time, well into the future, when you’re in need a life-changing wine experience. Michael Fridjhon recently returned to Marques de Riscal in Rioja after 25 years and came away hugely impressed by the quality of the wines despite the increase in production. 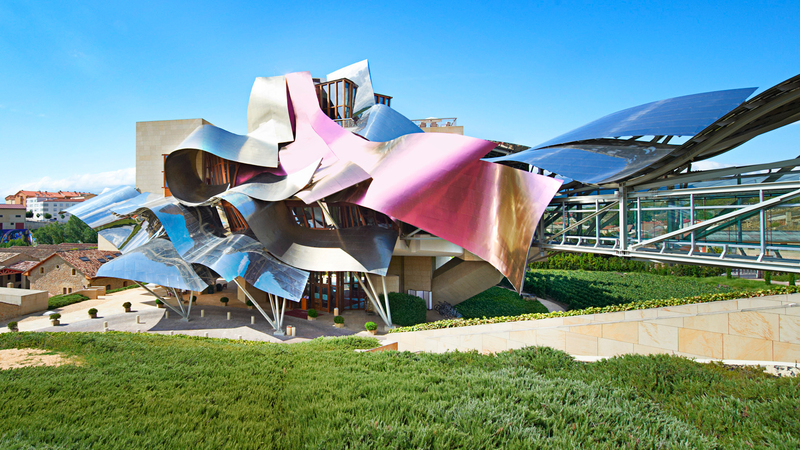 Hotel Marques de Riscal, a contemporary luxury retreat created by Frank Gehry where spectacular design, art, wine, gastronomy and landscape all play a part. Wine and time coexist in a kind of paradoxical juxtaposition. Some bottles need the length of a human lifetime to reach their peak, others are as transient as the seasons. In some places, Georgia for example, wine is made using ancient techniques. 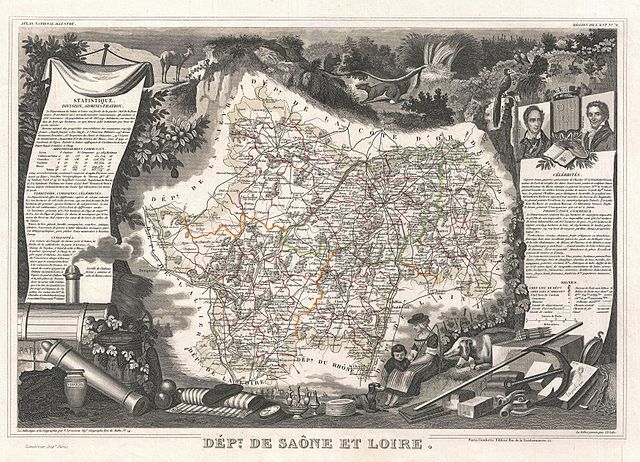 In Bordeaux, even the best known – and most prestigious – estates are compelled to invest in massively expensive upgrades to achieve infinitesimal gains, simply to maintain their competitive edge. We like to believe in the certainties of ancient wisdom, the truths which have acquired the stature of gospel – while at the same time we watch how knowledge and technology subvert “laws” which were once etched into the foundation stones of production sites. We celebrate natural yeast fermentation (without ever inquiring whether the ambient yeasts are any different from the commercial selections previously used at the cellar) because there is a promise of tradition and craft. We love the idea of winemaker’s intuition and yet we admire winery laboratories designed to ensure that cellarmasters can go about their work with absolute precision. In the midst of all these apparent contradictions, the one abiding truth we cling to is that it is not possible to increase volumes without a commensurate decrease in quality. This law – of the inverse relationship between quantity and quality – is as much part of our DNA (nothing is gained without loss) as it is of the winemaker’s canon. So when I visited Marques de Riscal for the first time in about 25 years – and saw the extent to which the business has been transformed, in size, in range, and in the volumes produced, I was more than a little astonished. My initial thought was that its expansion from the original 19th-century winery and cellars to a modern behemoth could only have been achieved at the expense of the wine, a classic Rioja which has been the most famous name in Spanish wine around 150 years. My tasting experience of the wines, over much the same period, contradicted this. At no stage did I feel as if the winemakers had over-commercialised the wines in the standard range? The annual releases of the Reserva had been consistent while the Gran Reservas I had sampled or cellared were equally impressive. In fact, my impression of the fabulous 2005 is that it will equal the 1994 – of which I have only a few bottles left. This left me with trying to reconcile apparently contradictory information – the more so once I chatted with Francisco Hurtado de Amézaga, the chief winemaker and a direct descendant of the founder of the business. I discovered that over the period in question the overall volumes of Riscal wines had increased by 75%, while the range itself had seen the addition of several (admittedly small production) cuvées, most notably the 150th Anniversary Gran Reserva and the Frank Gehry special selection. Since these two additional products had been added to the top of the brand pyramid, there seemed the inevitable risk that whatever choice fruit had been put aside to create these vinous masterpieces would necessarily reduce the average quality of the wines into which the grapes had previously been blended. These assumptions did not survive the empirical experience of a day spent tasting there. From the whites which come from the Rueda cellar to the Tempranillo-based reds from Rioja, no single wine within the range appeared to be of a lesser quality than anything I had sampled in the past two decades. For some of this there was an obvious explanation: amongst the whites from Rueda the newly introduced “Bio” Verdejo had a plushness and dimension quite unlike the standard cuvées with which I was familiar. In my experience, this added quality is partly the result of the extra attention which goes into the management of organic vineyards which might account for the palpable difference in quality. The same argument cannot apply when it comes to the premium finely oaked white releases (wines like the Finca Montico and Baron de Chirel Viñas Centenarias) though here you might argue that the best fruit had been selected for these more highly priced reserve wines. Had that been the case, you might have expected that the standard Rueda would have emerged that much more emaciated, more two-dimensional and with less fruit intensity. This wasn’t the case, and there’s no ready explanation except that greater care in the vineyards and better fruit processing has made the overall gain possible. When it comes to the reds, however, the sheer arithmetic appears to be stacked against the application of this theory. In 1995 the combined production of the Elciego (Rioja) cellar and Rueda (white wines) was six million bottles. Today, it is 10.5m bottles, with six million alone in the new, high-tech Elciego winery which crushed its first vintage in 2000. You can’t maintain quality and increase production by these percentages without other factors playing a key role in your success. Some of the explanation is instantly evident the moment the technical staff take you through the new facility. Until the upgrade, the best wines of Marques de Riscal were produced in two buildings which had been built in the 1860s and 1880s, using technology which had been state-of-the-art in the 19th century. When I visited in the early 1990s, the working space was cramped but this didn’t seem an impediment as long as it could accommodate what needed to be done, for the volumes going into the market at that time. I was glad I didn’t have to manage the 3,900 barrels housed in that confined space, but the comfort of winery workers never features very highly in the considerations of the commercial team. When you consider the current production volumes and compare them to what was being handled then, the new facilities were inevitable. As you watch the team in action it becomes obvious that only by creating a massive new cellar could more wine, of better quality, be made by fewer people in the new working environment. There’s a simple of way of looking at why the new space makes for improved winemaking. The 37,000 barrels (a ten-fold increase) are racked every three months in the first year (and once or twice thereafter). This means that the clear wine must be drawn off the lees of one barrel and into another receptacle. The old barrel must then be thoroughly cleaned, steamed and sulphured before wine can be put back into it – 37,000 times every three months. The sheer physical movement of barrels, wine, and cleaning equipment needs height, space, volume. In the cramped 19th century winery where barrels cannot be stacked more than three-high, the sheer logistics become impossible. The new Marques de Riscal is like the old business but on steroids. It is bigger and better, with greater range, more modern vinifications, more precise fruit notes, and the same or better maturation potential. Less has been left to chance, more happens under the direct watch of a winemaking team which has been augmented by access to the latest technology. All this is counter-intuitive to those brought up in the belief that small is beautiful. The current releases are luminous proof that the seemingly impossible can be achieved.